Well, at this point I've probably overloaded your brain with all of my stories, philosophies, and insights. You started out reading this book hoping that by the end you would know if trucking would be the right choice for you and there's a good chance that you have far more questions now than you did before. Well, if you feel like you have more questions now than when you started reading this book then I feel like I've done my job. Well, if you feel like you have more questions now than when you started reading this book then I feel like I've done my job. There are so many things to consider when it comes to making a career change – especially when the new career may be driving a truck – that you may very well never be able to come to a firm conclusion about whether or not you should go for it. There are not many people brave enough, or in the right position in their lives, to make a firm decision without any second thoughts and just go for it. There will likely be quite a bit of uneasiness about what to do. That's a good thing. There are a number of things you should keep in mind. For starters, remember that this does not have to be a permanent decision. You aren't required to drive a truck for the rest of your life. I went to school to be a mechanic at one point. I paid $12,000 and the schooling took one year. I graduated, got a job, and quit after two months. I never worked for anyone as a mechanic again. There will likely be quite a bit of uneasiness about what to do. That's a good thing. But I'm absolutely thrilled that I did it. I use the knowledge I gained from that school pretty much everyday of my life. I work on my own vehicles, my equipment for the business I now own, other people's vehicles, and there will be a million other uses for it in the future. It was worth every penny and every minute I spent at that school. I would gladly do it again. 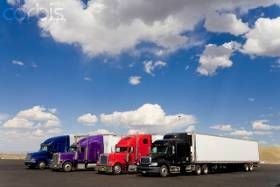 Secondly, keep in mind that there is no possible way to know that you are getting into a career that is right for you because truck driving is something you will have to experience in order to understand it completely. Until you've done it, there is no way to know how it will suit you. So I wouldn't necessarily shy away from doing it just because you're not certain about it.